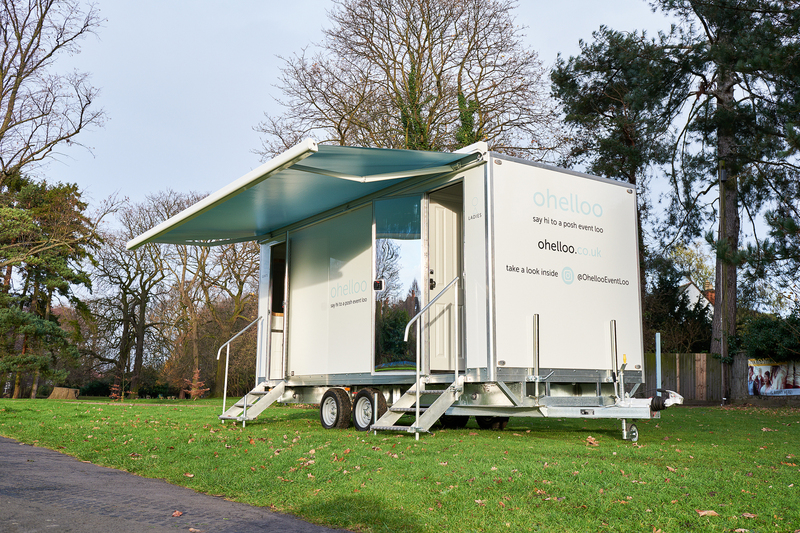 Looking for Luxury Portable Toilets to Hire for your event, designed to impress even the most exacting of guests? 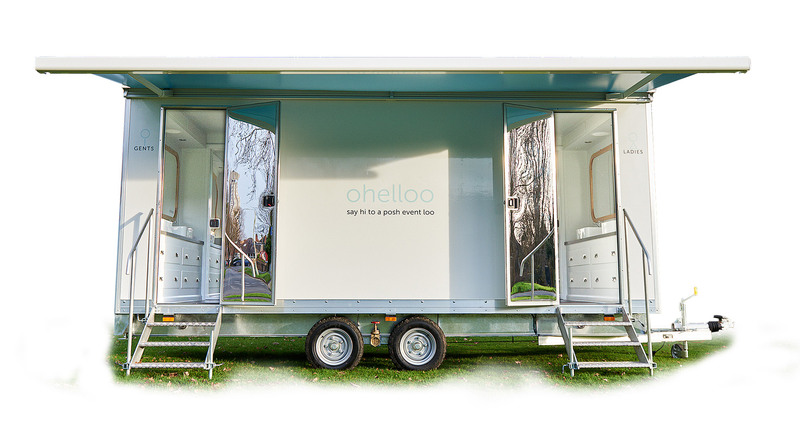 Then let us introduce you to our rather Posh Portaloos. 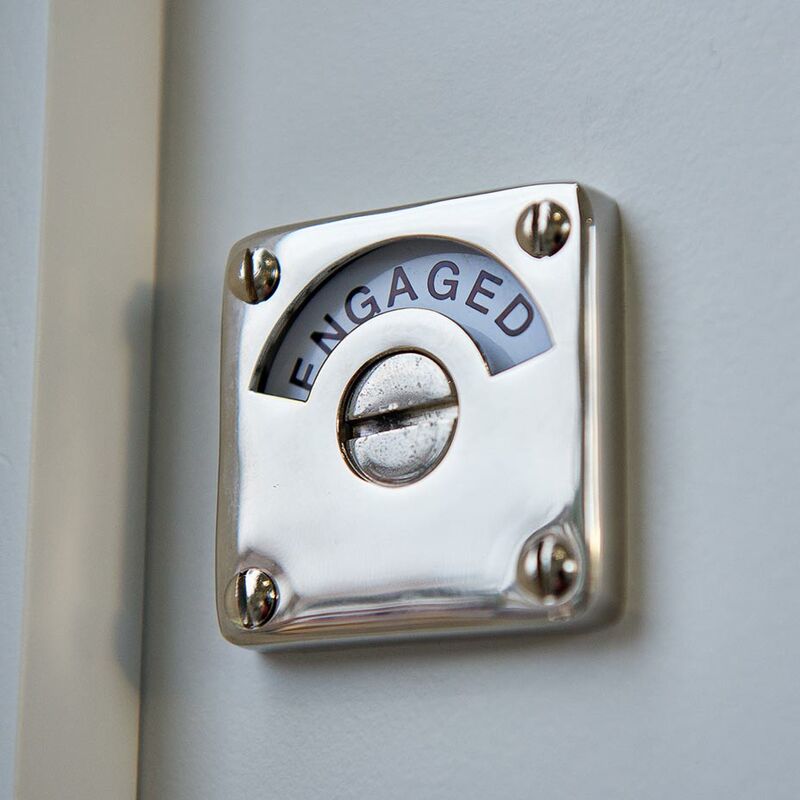 When it comes to luxury event toilet hire we think, for a posh portaloo, you’ll be suitably impressed. True. Which is why behind the beauty, we ensure quality products, fixtures and fittings, and Ohelloo hand built craftsmanship. Making the whole experience beautifully surprising, for an outdoor loo. 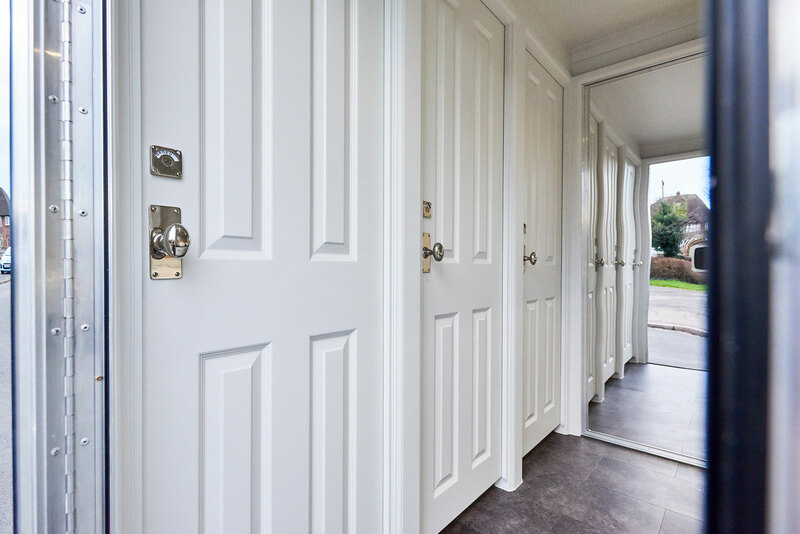 4 full length mirrors helping guests look their best! All workings and what you don’t want to see fully hidden. 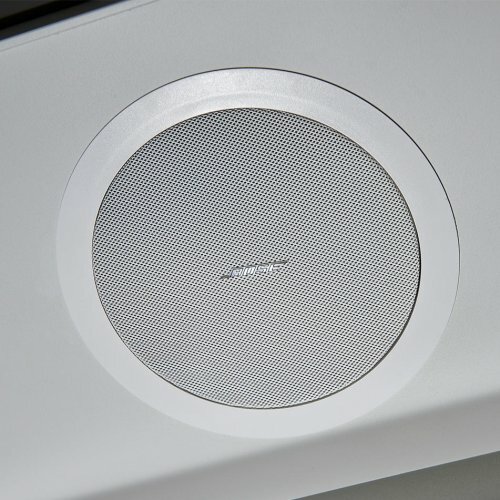 Keep the party going, or provide subtle background music. 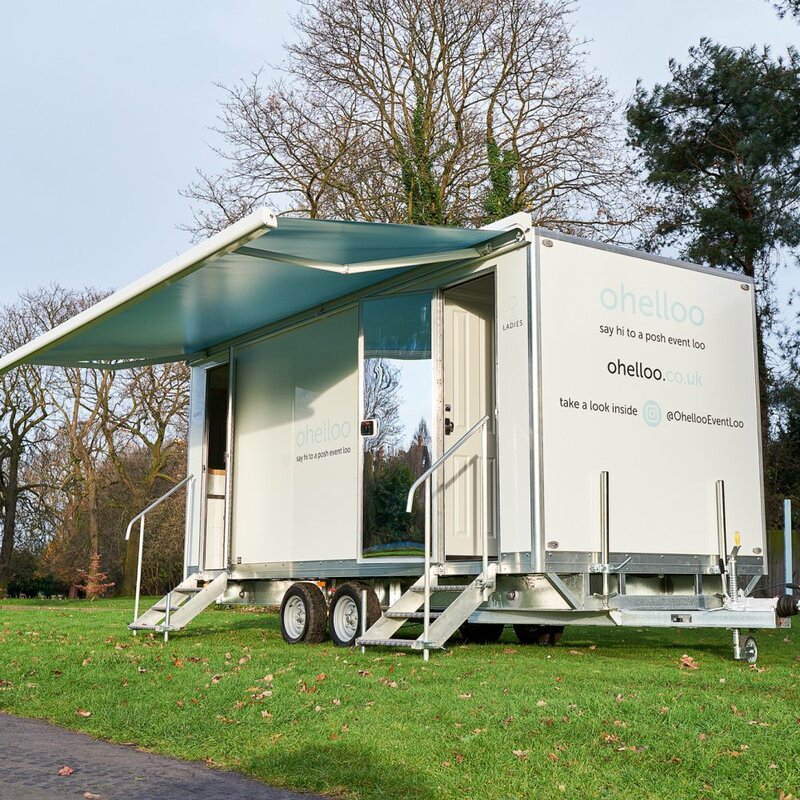 Our Ohelloo 3 plus 1 posh portaloo, is perfect for Weddings, Parties, Corporate events, and any event that requires outdoor luxury portable toilets, catering for around 350 guests. 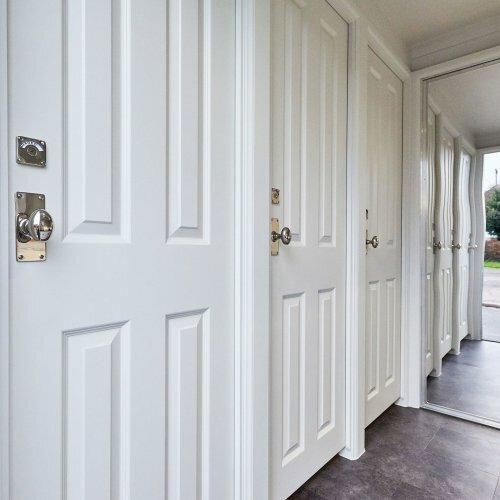 With an exceptional specification as standard, you can expect high quality fixtures and fittings and Ohelloo handbuilt craftsmanship throughout. Pristine porcelain and walls finished in English Heritage Little Greene Paint, provide an uncompromising and bespoke finish. Come rain or shine, our 2 meter awning ensures any queuing guests are protected from our wonderful British weather. 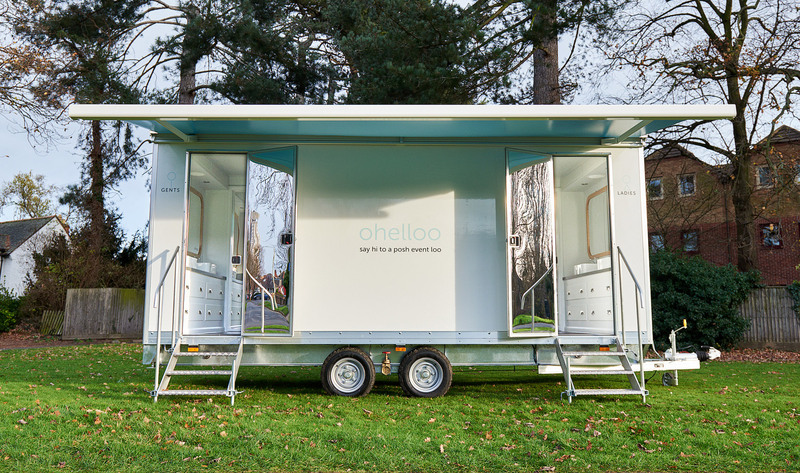 ”The whole experience with ohelloo was a pleasure, the staff clearly understand their product and have created an incredible alternative to the portable facilities we have come to expect at open air events. 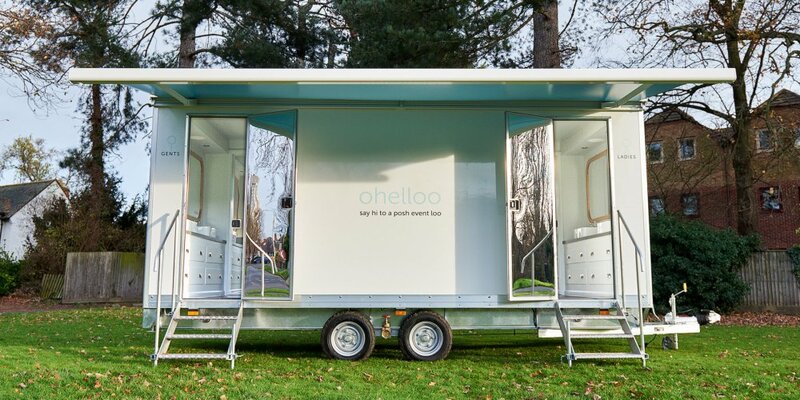 As an events company we were looking to hire facilities that were in keeping with the standard we would want to deliver to our clients, Ohelloo were punctual, friendly, knowledgeable and efficient - the event ran perfectly and the amazing luxury facilities provided by Ohelloo made it even more memorable. Thank you to you all! 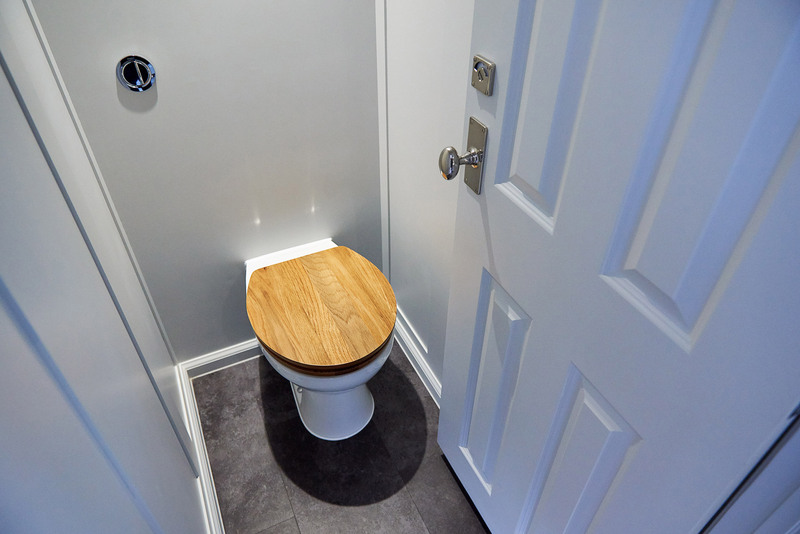 Ohelloo lives in Loughborough, and so we’re perfect for luxury toilet hire for Leicester, Derby, Nottingham, Birmingham and Midlands events. 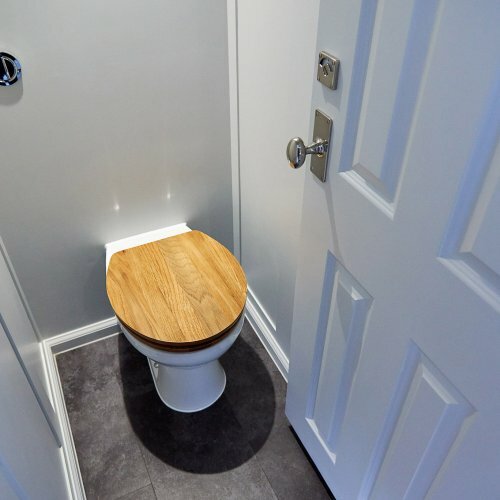 If you’re a bit further away, and are super keen on our posh portaloo, then we can travel a little further in some cases. As far as London. Call 07748 764941 or email to make an enquiry, or secure your booking today.